Sharon Giffen joined the Board of Genworth Canada in July 2015. 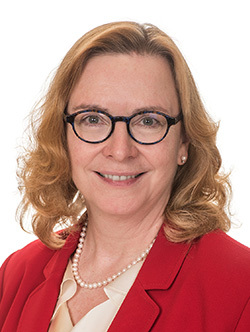 Ms Giffen has spent her professional career in the life insurance business, holding several executive positions at The Independent Order of Foresters, including Chief Actuary, Chief Financial Officer, President of the Canadian Division and Chief Risk Officer. She also serves as Chair of Finance and Audit on the Board of Directors of Opera Atelier, and previously on the Board of the Canadian Institute of Actuaries, where she chaired the Risk Committee. She is an active volunteer in the actuarial profession, currently chairing the CIA's Volunteer Development and Management Committee. Sharon is a graduate of the University of Waterloo, is a Fellow of the Society of Actuaries, a Fellow of the Canadian Institute of Actuaries and holds the ICD.D designation.